These coastal Carolinas communities share more than a name. We say Bew-fert, they say Bo-fert, but — however you pronounce it — we’re talking about two top coastal Carolina towns. Named after English politician Henry Somerset, Duke of Beaufort, these charming and historic county seats have much more in common than their names. And, learning the tale of two towns is as simple as hitting the road. Located on Port Royal Island in the heart of the Sea Islands that stretch from Jacksonville to Charleston, Beaufort — pronounced bew-fert — is the county seat of Beaufort County and is known for its lush Lowcountry landscape, antebellum architecture and genteel Southern hospitality. 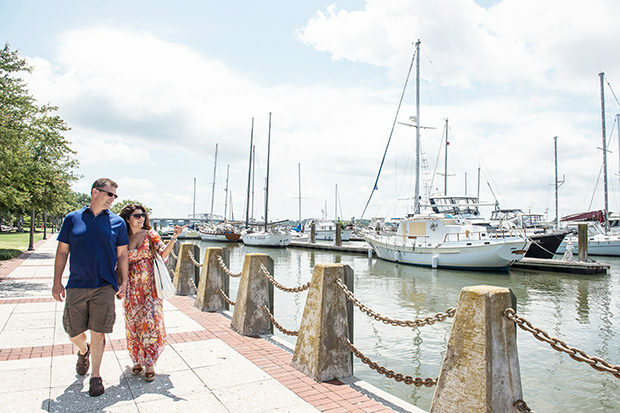 The adopted hometown of beloved writer Pat Conroy, and the setting of classic films including The Big Chill, Forrest Gump and The Prince of Tides, Beaufort is rich in history, military might and often bestowed with “top small town” accolades. 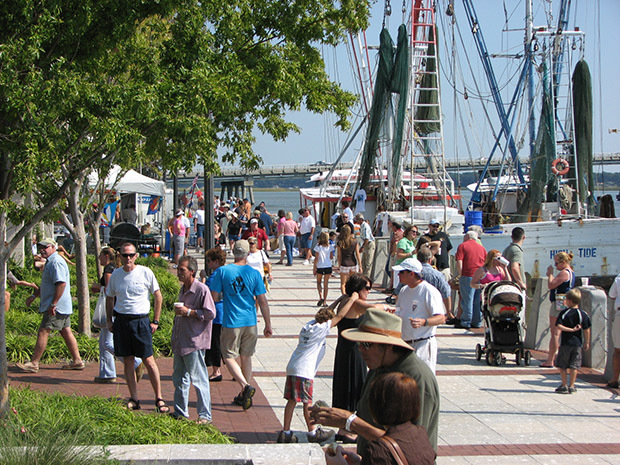 The waterfront is one of Beaufort’s top attractions. With its downtown set squarely along the Beaufort River, the Henry C. Chambers Waterfront Park is the heartbeat of the community. Overlooking the Beaufort marina, the park features a well-landscaped green space, communal swings, playgrounds and a pavilion stage for live performances. It backs up to the three-block-long downtown shopping and dining district. The park is also home to many festivals. Since 1956, Beaufort has celebrated the importance of its waterways with a massive 10-day festival each summer: the Beaufort Water Festival. Featuring regattas, fishing tournaments, raft racing, water skiing, air shows, arts and crafts, concerts, food and fireworks, the festival is a summer highlight. Other area attractions: the story of the first European colonial capital in the Santa Elena History Center; the history of the original Gullah community at the Penn Center on nearby St. Helena Island; and nearby Hunting Island State Park, among others. Many of these attractions are included on several walking and van tours offered by Beaufort Tours. 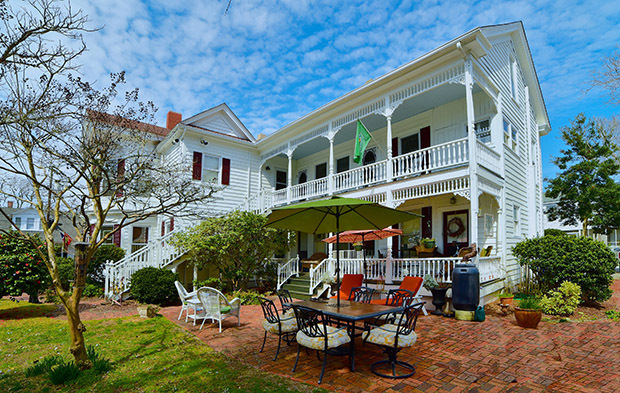 Quintessential Southern inns and bed and breakfasts are found throughout the historic district. From intimate rooms in historic mansions like Anchorage 1770 and the Cuthbert House Inn to more sprawling accommodations and cottages at The Rhett House Inn and The Beaufort Inn, there are many ways to enjoy true Southern hospitality. Located 350 miles northeast, Beaufort, North Carolina — pronounced bo-fert — is located along the Beaufort Inlet, a channel that leads to the Atlantic Ocean. Part of the Crystal Coast, Beaufort is North Carolina’s third oldest city and is the county seat of Carteret County. Wild horses of Shackleford Banks. Much of Beaufort’s attractions also center around the water. The North Carolina Maritime Museum on Front Street features exhibits about Beaufort’s maritime history, the seafood industry, life-saving stations, lighthouses and watercraft. Perhaps its most popular exhibit is “Blackbeard and Queen Anne’s Revenge,” which illuminates the life of the early 18th-century swashbuckler. 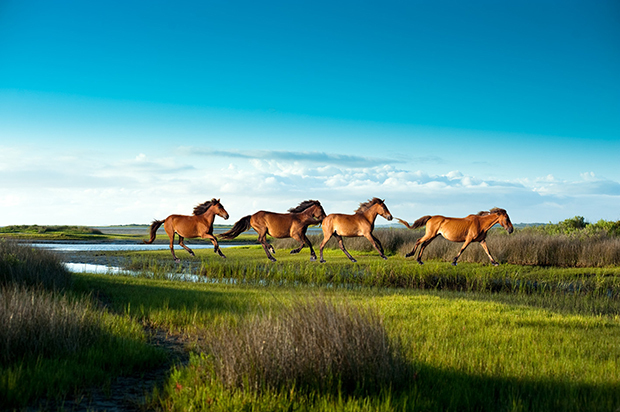 Enjoy a ferry boat ride to see the wild horses on Rachel Carson Reserve or Shackleford Banks, climb the lighthouse at Cape Lookout National Seashore, or dive the shipwrecks of the Graveyard of the Atlantic. Other options: discovering Beaufort’s Colonial past at the Beaufort Historic Site: historic Fort Macon; the North Carolina Aquarium at Pine Knoll Shores or one of many walking or biking tours with Hungry Town Tours. The spring Beaufort Wine & Food experience celebrates its dynamic culinary scene with wine dinners and tastings, an epicurean village and more. Summer’s Old Homes & Gardens Tour is also popular. 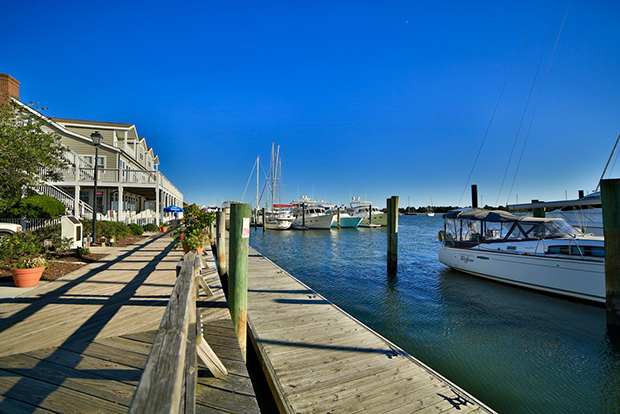 Beaufort also offers charming inns and bed and breakfasts in the historic district and along the waterfront. Traditional Southern B&Bs in historic homes include the Inn on Turner and Pecan Tree Inn, while more modern, waterfront accommodations can be found at friendly Beaufort Inn (all AAA three diamond rated). Member Savings: Receive $2 off van tours with Beaufort Tours (S.C.) and $1 off admission to the Beaufort Historic Site (N.C.). Visit AAA.com/Discounts for more savings!